Welcome to the ‘new look’ DDN! In this month’s issue, we look at why technology may offer more people the support they need to make changes to their drinking, and Alcohol Concern’s chief exec Jackie Ballard talks to the magazine about challenging the drinks industry. 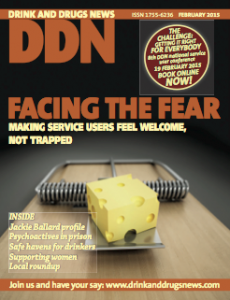 Let us know what you think of your new DDN!